Today I want to talk about content personalisation, and by personalisation, I don’t mean “Dear First_Name”, I mean really understanding the audiences we have and tailoring the messaging and content that we send them to their interests and their needs. Watch the vlog or read our transcript below to find out more. We know that lack of engagement is the number one factor for people opting out of content or dismissing the content they see. So this concept of personalisation is really critical if we’re looking to grow engagement with our audiences which we know ultimately leads to greater revenue. If you think about the emails you receive from many retail sites from Woollies and Coles right through to the iconic or other favourite shopping brands. They all take advantage of your personalisation to deliver you content based off your previous shopping history. 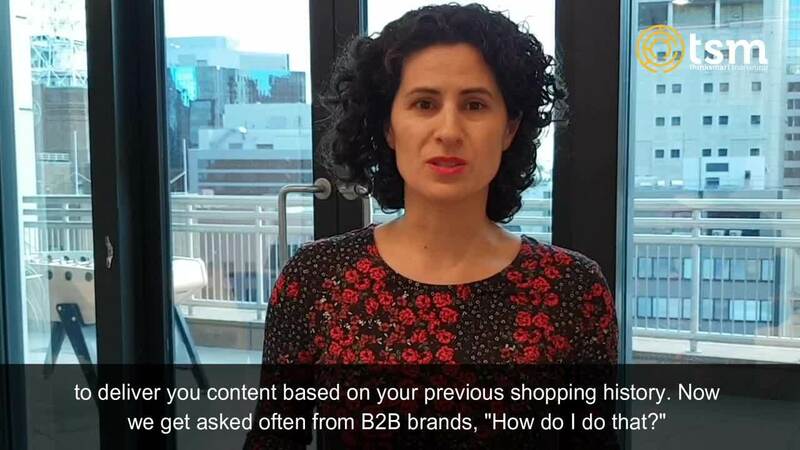 Now we get asked often from B2B brands, “How do I do that?”, "We don’t have an e-commerce site", "We don’t have that volume of data" and there are lots of ways B2B’s can take advantage of this as well. If you think about the email marketing you send out, rather than sending out the same email to your audience, think about customising the components within that email, the content in that email based on what is it your audience has engaged with in the past. How can you customise subject lines to different audiences? So that they feel more engaged and that you’re referencing what you know about them, and the behaviour they had in the past, in your future content. The intention is that over time all those little personalisation elements across your various channels, from website content right through to social media and email marketing and all the rest of it. That is up to really create a stronger sense of identity with your customers and stronger level of engagement and we know that, that absolutely has correlation with increasing revenue. If you’ve got any questions hopefully that’s helped, please put them in the comments below or give us a shout. Thanks very much.